Netflix’s Jupiter’s Legacy series is heavy into the casting process, with the streaming service just announcing the first batch of confirmed cast members. 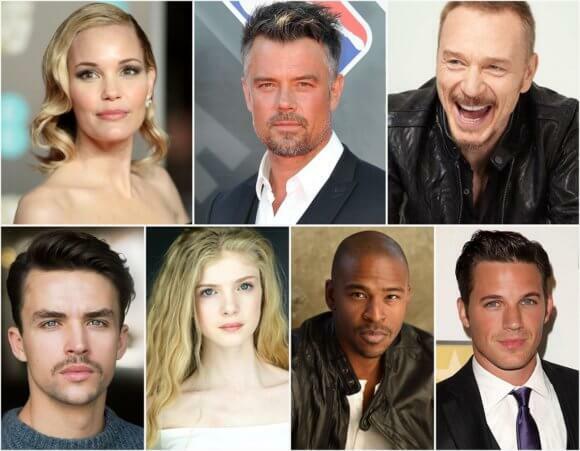 Josh Duhamel (the Transformers franchise), Ben Daniels (The Exorcist, Jesus Christ Superstar Live in Concert), Leslie Bibb (Tag, Iron Man), Elena Kampouris (Sacred Lies), and Andrew Horton (How to Talk to Girls at Parties) have all signed on to starring roles. The series will also feature Mike Wade (For the People) and Matt Lanter (Timeless). The dramatic series is part of Netflix’s slate of upcoming films and television series based on Mark Millar’s stories and graphic novels. Jupiter’s Legacy has Steven S. DeKnight (Spartacus) on board as showrunner and as an executive producer. Mark Millar, Lorenzo di Bonaventura, Dan McDermott, and Frank Quitely also executive produce. DeKnight will write and direct the series’ first episode. Jupiter’s Legacy follows the world’s first generation of superheroes who received their powers in the 1930s. Now, in present day, they are the revered elder guard, but their superpowered children struggle to live up to the legendary feats of their parents. George Hutchence (Skyfox) was Sheldon Sampson’s closest friend and ally before turning against him and the rest of his teammates in The Union. Now considered the greatest supervillain in the world, George plots his revenge on the teammates he believes betrayed him.